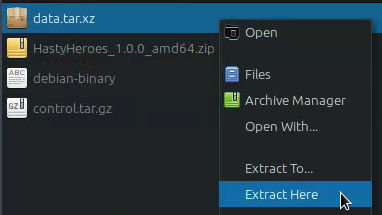 How to extract & install deb files in Archlinux manually. Sometimes when searching for an application package on the AUR site, I did not find the application I was looking for. And I only found the debian package when downloading on the official website directly. 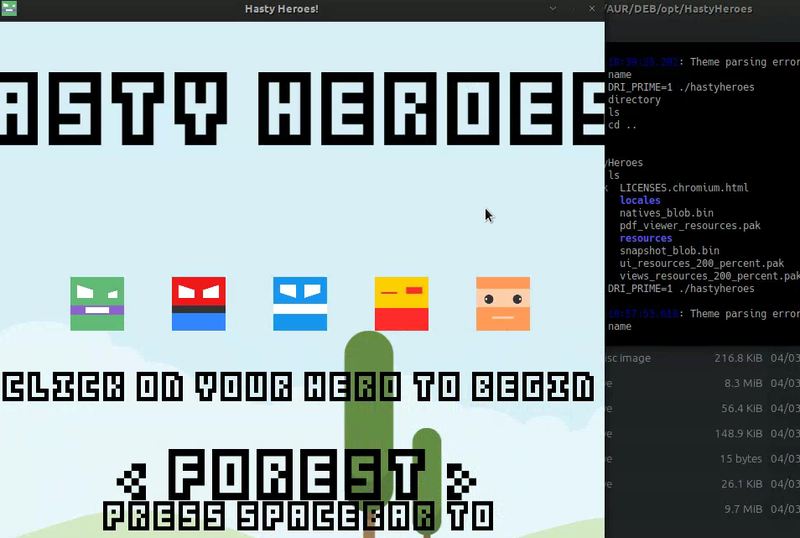 For example, I want to install the HastyHeroes game..
On the site there are only exe, appimage, and deb files. But i prefer to download deb packages. Download the deb packages. Then open filemanager. Because I'm using LXDE desktop, I use PCMANFM file manager. Open the downloaded deb, and move to specific folder. 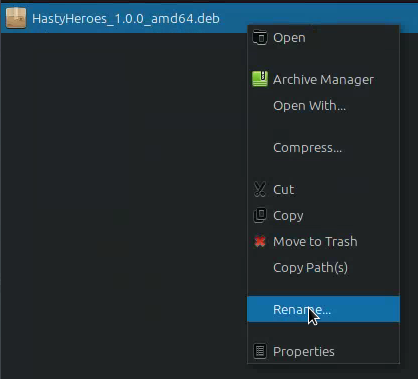 Example HastyHeroes folder. Then right click on deb packages. Then extract data.tar.xz, right click then extract here. Place the file according to its name. For example, the opt folder, then the contents of the folder must be copied paste to / opt, as well as the / usr folder, and others. Each application has its own structure, just copy it according to the contents of the existing folder. (This need a root privilege). After that you need to run the apps in terminal, to see if the application requires additional dependencies. 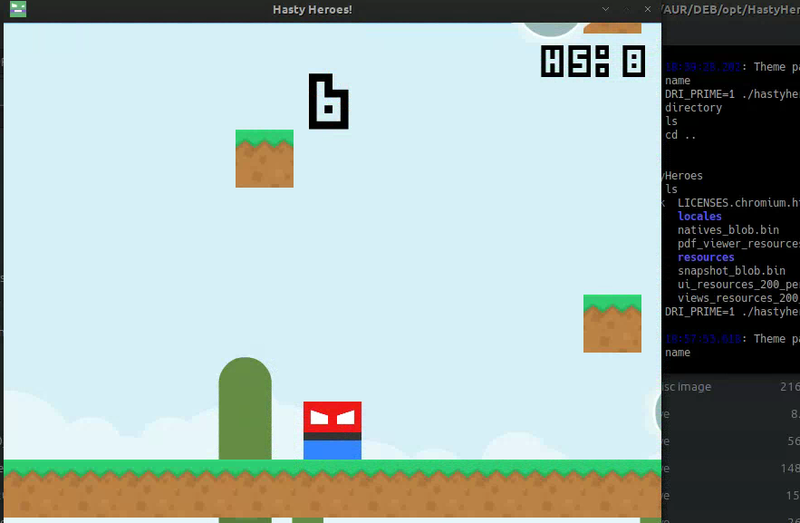 For Hasty Heroes, i don't need to copy paste to /opt and /usr, because HastyHeroes is stand alone application, so i can run the app directly from HastyHeroes executable files.